Good morning. It's Monday, Aug. 6. • A Sikh man is beaten and told to "go back to your country." • Clashes erupt during a "No to Marxism in Berkeley” rally. • And a lush oasis rises from the Coachella Valley desert. A photo posted to Facebook showed the victim's vandalized vehicle. Two white men ambushed and beat a 50-year-old Sikh man with a rod in a rural area near Modesto, the authorities told the Modesto Bee. 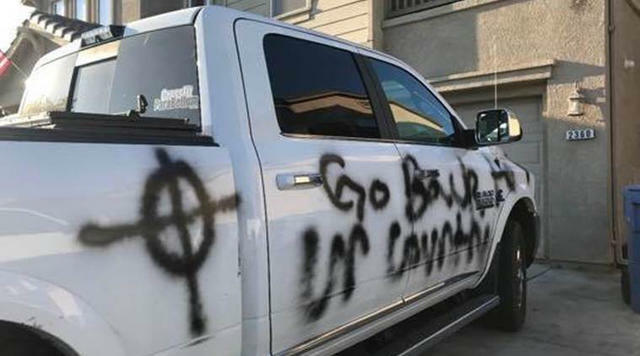 The assailants shouted “You’re not welcome here!” and “Go back to your country!” then spray-painted “Go back to ur country” and a Celtic cross onto the man's truck, the authorities said. The attack is being investigated as a hate crime. “This is a random, despicable, criminal act against a member of the Sikh community,” the Stanislaus County sheriff said. In an interview with CBS Sacramento, the victim, Surjit Malhi, said he may look different than others because of his turban but he is "American, 100 percent." "They said, 'Go back to your country,'" he said. "This is my country." Read more in the Modesto Bee and CBS Sacramento. 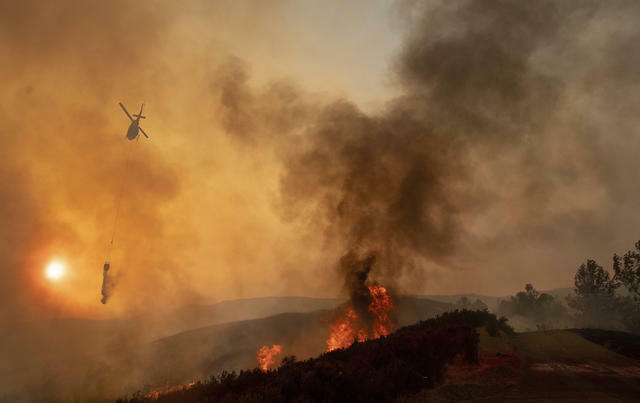 A helicopter dropped water on the flames in Lake County on Sunday. California has been shattering heat records right and left. The water off La Jolla reached its highest temperature ever recorded. Palm Springs had its warmest July. Death Valley set the record for the world's hottest month. And California had its highest minimum temperature of any month since 1895. It's enough to prompt some blunt talk about climate change. In the age of legal marijuana, law enforcement agencies in California have become desperate to get ahold of a portable device that could help catch stoned drivers. Now a California company says it has made a marijuana breathalyzer that can detect whether a person has smoked pot in the last two hours. A brunch gathering in San Francisco. The age at which women become mothers varies significantly by geography and education. San Francisco County has among the nation's oldest first-time mothers, at an average age of 31.9. That's compared to a nationwide average of 26.3, and rural areas where the average is as low as 20. 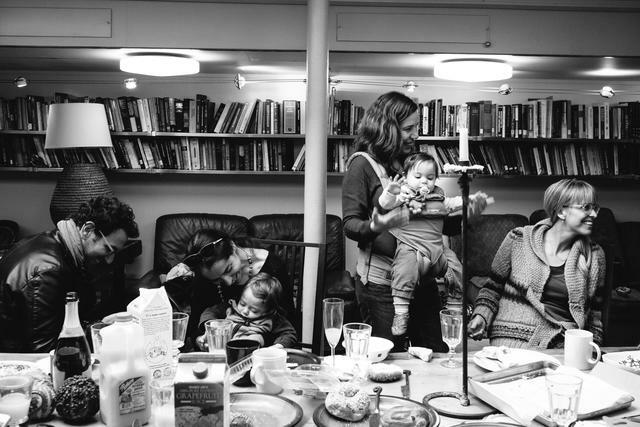 Researchers said the differences in when women start families are a symptom of the nation's inequality. A N.Y. Times database lets you look up your county. Central Valley farmers who want more water pumped out of the California Delta are getting a friendly hearing from the Trump administration, which knows that the valley is a Republican stronghold. But that water is the lifeblood of a salmon industry that fears it could be wiped out. “All I know how to do is catch salmon,” one angler said. The authorities in Berkeley arrested at least 20 people and confiscated weapons during a confrontation between several dozen alt-right protesters holding a “No to Marxism in Berkeley” rally and hundreds of counter-demonstrators. M-80s and homemade explosives were fired off. Three dumpsters were set aflame. And about 20 city vehicles were smashed. Desley Brooks, in 2011, was once called the “Donald Trump of Oakland” by the city's mayor. 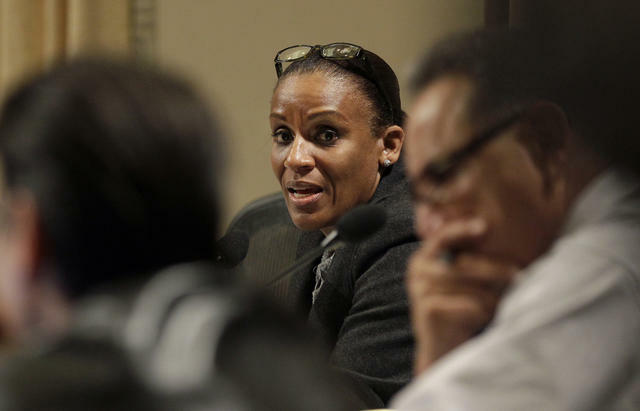 Oakland City Council member Desley Brooks is scandal-prone and combative. In 2015, she knocked a 72-year-old woman to the ground, tearing her rotator cuff. A judge who oversaw the ensuing trial found that Brooks lied under oath. The episode will cost taxpayers more than $2 million. So why is Brooks still popular? Mark Massara — a surfer and attorney — has been a legendary crusader for public access to California's beaches. Now he's being branded a traitor for defending the right of an affluent Santa Cruz neighborhood to keep the gate to a public beach closed. Critics wonder if his motive is to look out for surfer buddies or rake in lobbying fees or both. 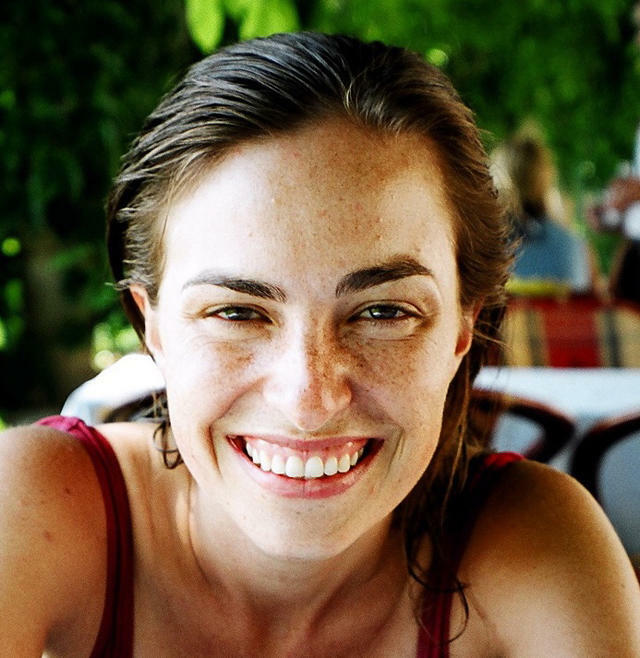 Lisa Brennan-Jobs detailed her strained relationship with her mercurial father. "You're getting nothing." Lisa Brennan-Jobs published an excerpt from a forthcoming book about her difficult relationship with her father, Steve Jobs. For years, the Apple co-founder denied he had a daughter. Brennan-Jobs said she was regarded as a stain on his brilliant story of self-made success. A pilot and four passengers were killed when their small airplane crashed into a parking lot in Santa Ana. The aircraft was on approach to nearby John Wayne Airport and reported an emergency before the crash, an official said. 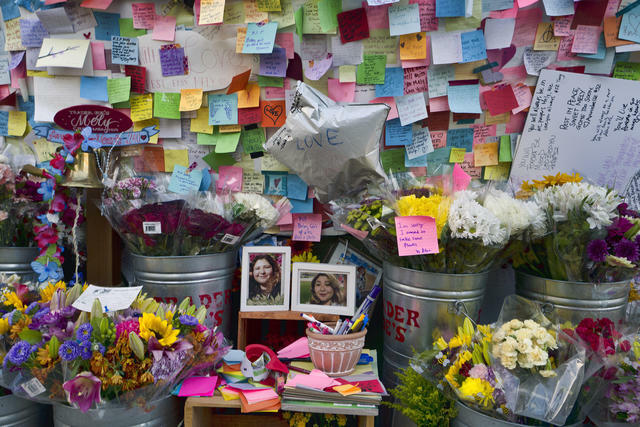 A memorial was created at the Trader Joe's in Silver Lake after a deadly standoff left a store manager dead. Held hostage at the Silver Lake Trader Joe's, MaryLinda Moss put her hand on the gunman's heart. "I told him: 'There's always hope. I know you have a good heart, and I know you don’t want to hurt anybody.'" Over and over, Moss calmed the hostage-taker down, trying to prevent a bloodbath. Finally, she helped to cuff him, and walked him outside. For decades, the Santa Clarita Valley Signal has been a reliable news source in a region of more than 300,000 people. But comments by its new Republican owners have some readers concerned. “The paper is mine now," one of the owners said, "so the editorial voice will be mine." The Grateful Shred has become an unlikely sensation. The Grateful Dead is experiencing something of a renaissance. 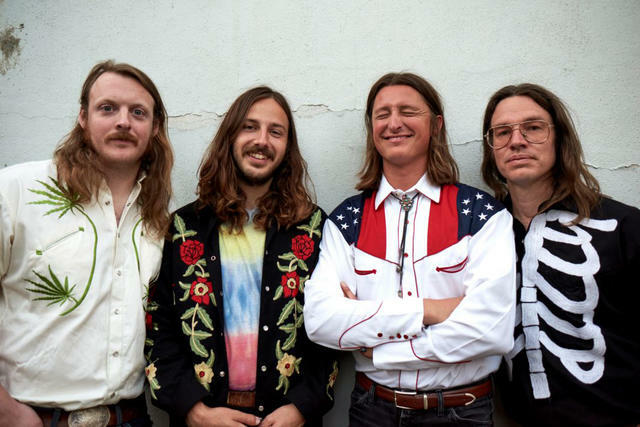 "And nowhere," writes L.A. Magazine, "is this more apparent than in L.A." One tribute band, Grateful Shred, has gone from playing backyards to headlining venues as far as New York and Toronto. 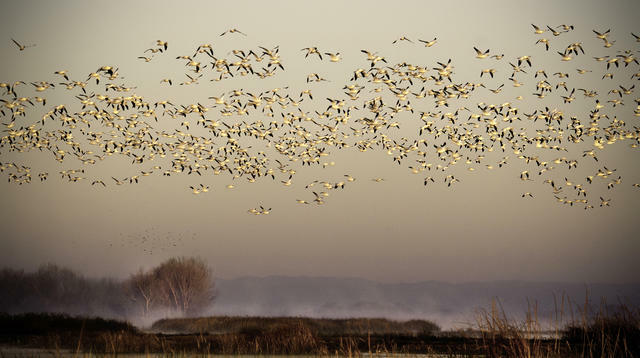 • Tucked within the farmlands of the San Joaquin Valley is a birders' wonderland. Merced National Wildlife Refuge is among the last remaining wetlands in a valley to be spared by the advance of agriculture and urban sprawl. It's part of the Pacific Flyway, the north-south route traversed by millions of migratory birds in the spring and fall. 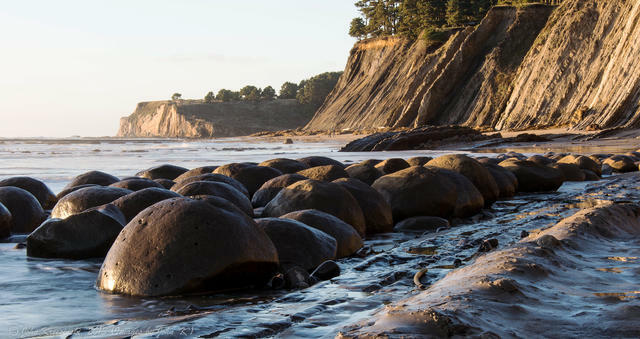 • It's readily apparent how Bowling Ball Beach got its name. 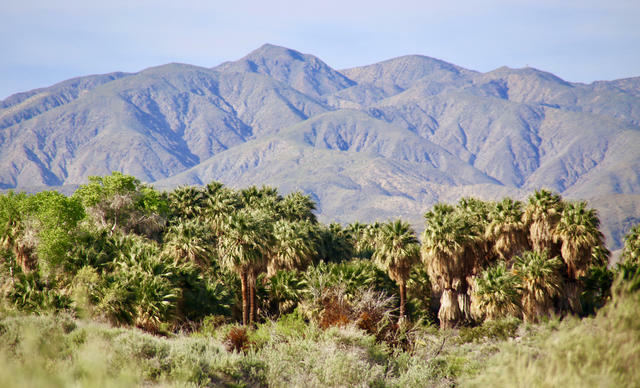 • A luxuriant grove of palm trees rises from the Coachella Valley desert.